Not more than a few hours ago an internal gameplay trailer was leaked showing off Battlefield Hardline using the codename "OMAHA". As mentioned previously, Battlefield Hardline will be developed by Visceral Games, however DICE will be working with Visceral to help form the multiplayer aspects of the game. The gameplay trailer shows off some of the game's amazing storyline and it's intense multiplayer. Heist Mode: The criminals will need to blast open the vault and get out with the loot, while the police will need to use all their resources to thwart their escape. Rescue Mode: The criminals needed to take hostages when their robbery went downhill and the police will need to move in to save the distressed hostages before it's too late. Hotwire Mode: You'll be engaged in a fast paced car chase with the robbers trying to desperately lose the police. One wrong turn for either team could mean a healthy advantage for the other so you need to keep your senses sharp and stay prepared for the unexpected. Bloodmoney Mode: Both teams are aware of a location with a huge amount of cash waiting to be scooped up. Both teams will need to fight to bring the money to their respective hideout. The trailer also shows off a good portion of what we can expect from the storyline developed by Visceral Games. The story's protagonist is Nick Mendoza, a young Miami detective who is stuck in a struggle between right and wrong and is seeking revenge against his partners after they backstabbed him. The AI has been redesigned and the maps are wider and boast a more open gameplay than the previous Battlefields. The story also has a strong influence from popular cop dramas and includes cast members from well-known shows like The Americans, Justified and House of Cards. 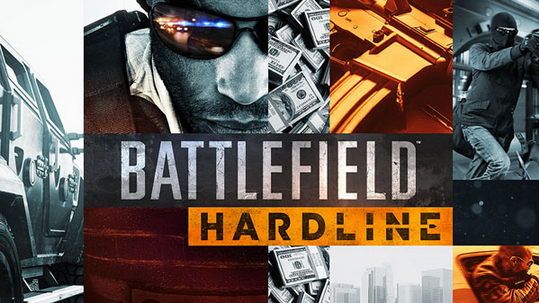 What do you think of the details leaked about Battlefield Hardline? Personally I'm hyped about the game already. I'm really looking forward to seeing Visceral's touch in the story and the absolutely intense multiplayer developed between the two. Battlefield Hardline has definitely changed my overall aspect of the Battlefield series. Update: The leaked video is actually 6 months old, so it's very possible many changes were made to Battlefield Hardline since then. I guess we'll just have to wait and see when the game is officially unveiled on June 9th! Thanks to Monopolyman for alerting me to the article which informed everyone the video was 6th months old.